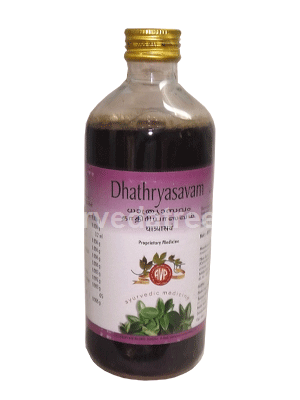 Dhathryasavam is an self generated alcoholic preparation. Dhathri refers to amalaki, the main ingredient of this formulation. Increases body strength and memory power. 2-3tsf or 12-24ml with equal quantity of warm water afer food twice or thrice daily as directed by the physician.